When we write on the web it's easy to make certain mistakes in the text, which can lead to giving a poor image of ourselves or that our comments may not be accepted on certain pages due to spelling mistakes. 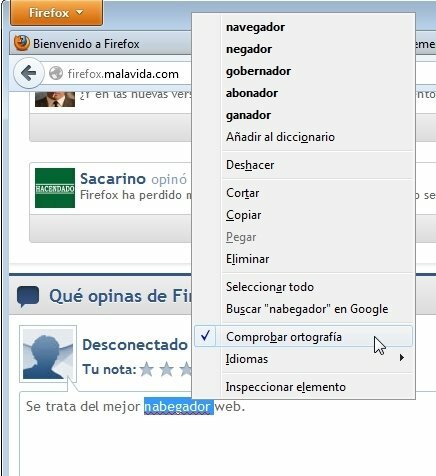 To make sure you write correctly the best thing you can do is to download English Firefox Dictionary. 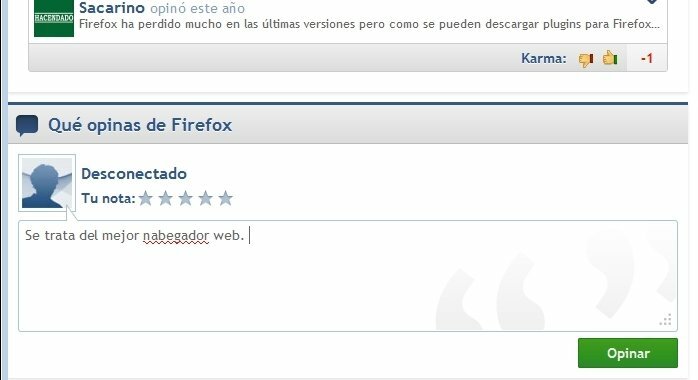 With English Firefox Dictionary we'll have a Firefox add-on that will automatically indicate, by underlining in red, which word has a suspicious spelling. 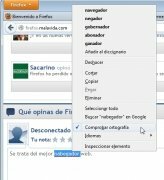 Thanks to the context menu that can be pulled down with the mouse's right button, we can also read the word suggestions that the add-on considers that could be related to what we wanted to write. 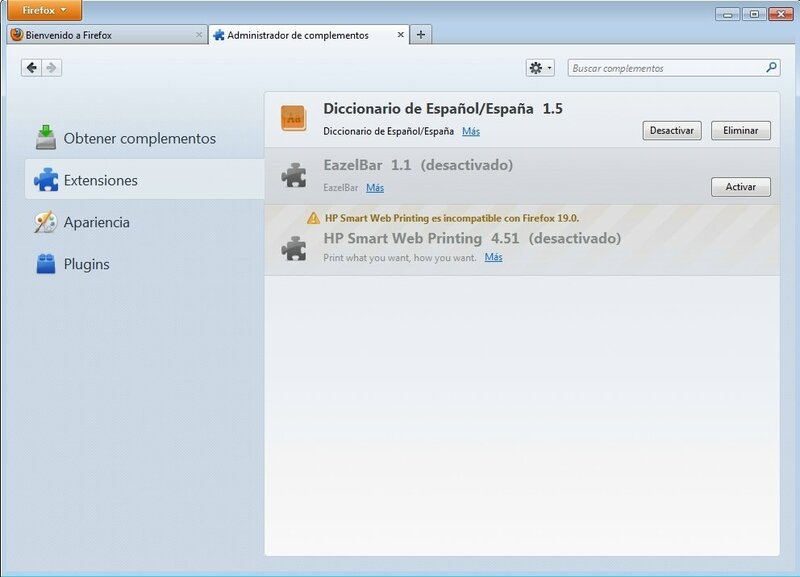 Word suggestions by means of the context button accessible with the right mouse button. Automatic replacement of words once selected. Download English Firefox Dictionary and write spotless texts.